Vancouver Mom > Highlight > 20 + family friendly Easter events around Vancouver! The long Easter weekend approaches. If you’re looking for an Easter egg hunt, or more of a big day out, we’ve collected a few eggcelent and eggciting Easter events happening around Vancouver. And … that’s no yolk. Aquarium visitors can take a crack at the third annual Easter Scavenger Hunt on Easter weekend. Many creatures hatch their young in fascinating ways from sitting on eggs to scattering them about to laying them in ‘purses’. Through a self-guided hunt, families will learn some eggs-traordinary animal stories then use this knowledge to solve clues on the scavenger hunt form. Finishers receive one of four prizes. Ride the little train in Stanley Park, then hop off for some egg hunting, face-painting, games, and crafts. Buy tickets ahead of time to avoid disappointment. Enjoy a relaxed scavenger hunt between 10 am and 5 pm where every child collects stamps and receives a treat! For the “hoppiest” little bunnies, join an egg scramble at 11 am, 1 pm and 3 pm. Children ages 5 and younger try to pick up as many foil eggs as they can before they’re gone. New life is what Easter is all about so head to Aldor Acres Farm in Fort Langley for a farm yard experience. Kids activities include hayrides, farm tours, a petting zoo and good ol farm fun. Rocky Mountain Flatbread is egg-cited for Easter, and they’re celebrating Easter Weekend with brunch and pizza making and fun crafts for the kids. Indulge in a flatbread breakfast pizzas, eggs benny or fancy waffles. PS: Be sure to indulge in a festive mimosa. You won’t regret it! New Westers will want to head to their gorgeous forested park for this annual FREE, festive Easter fun in Queen’s Park! There will be activity stations, and Easter bunny photos (with real bunnies) (suggested $2 donation) plus live entertainment, face painting and engaging crafts sure to entertain the whole family. Bring the family and take a hay ride down the Bunny Trail and embark on an egg hunt in the famous apple orchard. Find an egg-stra special egg in the orchard and you could even win a family pass to the Applebarn for this fall! Did we mention Bunny Town where you can pet and snap pictures of these cuties?! Drop your kids off at Kidtropolis for a few hours on April 19th while you enjoy dinner, some shopping or nothing at all! While you enjoy some kid-free adult time, the kids will be enjoying dinner and a special Easter-themed event including an Easter egg hunt. Every child will get a take-home treat at the end of the evening. Hop on it! Steveston Village’s favourite Easter salmon scavenger makes its annual return to the Gulf of Georgia Cannery Historic Site to hide ‘salmon eggs’ for the little ones. Admission includes special (non-salmon flavoured) Easter treats for all participants. Burnaby Central Railway season opener! The Stanley Park train isn’t the only mini choo choo in town! Kids, families and retired engineers flock to the Burnaby Central Railway for their train fix, and it opens on Good Friday! If you’ve got train-crazy kids, charming ride through the trees is perfect for all ages. As an added bonus, the revamped Confederation Playground and park is right across the street. Plus it’s only $3.50 / ride. >> All Aboard! Local trains yards worth visiting or riding! Goats and bunnies and eggs, oh my! Begin your Easter festivities with breakfast with the Easter Bunny and then participate in a farm Egg Hunt and try your luck at finding the Golden Egg. All of farm activities will be open and are included in your ticket! Breakfast is sold separately. PS: There’s also an Adults Only Bunnies & Booze event on April 12 & 13! Do your egg-hunting up in the sky! On Sunday, April 21st, you can head up on the gondola, have brunch up top, and then head out to look for eggs. Decorate wooden eggs, make Easter cards, eat maple taffy, and more. Can you say brunch with a view? The annual Easter festivities up at Grouse Mountain sell out every year so book soon. Featuring a tasty buffet brunch with options for all ages plus face painting and an Easter egg hunt led by the big Bunny himself (or is that herself), this is a family win. Hippity hoppity down to the Roundhouse in Yaletown with your 9 and unders for their annual Eggs-tacular Easter Egg Hunt. The event includes face painting, arts and crafts, games, cookie decorating, and a visit from the Easter Bunny. There may not be ice at Robson Square anymore, but that doesn’t mean there’s no skating! Bring the kids for a retro roller skating fam jam followed by a madcap roller derby to watch. Skate rentals available. Use the discount code for $10 off the family rate. VanDusen Eggciting Easter Hop! 2019 is back for 8 and unders on Easter weekend in the beautiful botanical gardens. There will be six different areas for hunting including the maze, themed activities, and each child receives a bag of chocolate at the end of their hunt. Explore the 55 acre gardens afterwards too. Takes place rain or shine. Tickets always sell out for this event sell out, so get your online stat! Decorate your bike and headgear and meet family biking enthusiasts at Science World on holiday Monday for a slow paced–nobody gets left behind Easter ride along the seawall as well as some quiet streets to Jericho Beach for a picnic. Enjoy a family-friendly event with a Golden Egg Hunt, bouncy castle, crafts, face painting, balloons and more! All children must be registered for the Golden Egg Hunt to participate. Britanniasaurus Rex is back again on April 21st, for the annual candy-free Easter Dino Egg Hunt at the Britannia Mine Museum. Can you find his gem-filled eggs? Find the eggs and then bring them to the mineral table to identify your treasures. Want a photo with B. Rex? He will be wandering around the Museum site. Get your baskets ready! The Easter Bunny and the Easter egg hunt are back at the Market! Meet at the Easter Headquarters by the Cheshire Cheese Restaurant to collect Easter eggs from Vendors. Once you collect 5 eggs, redeem them for a treat bag. 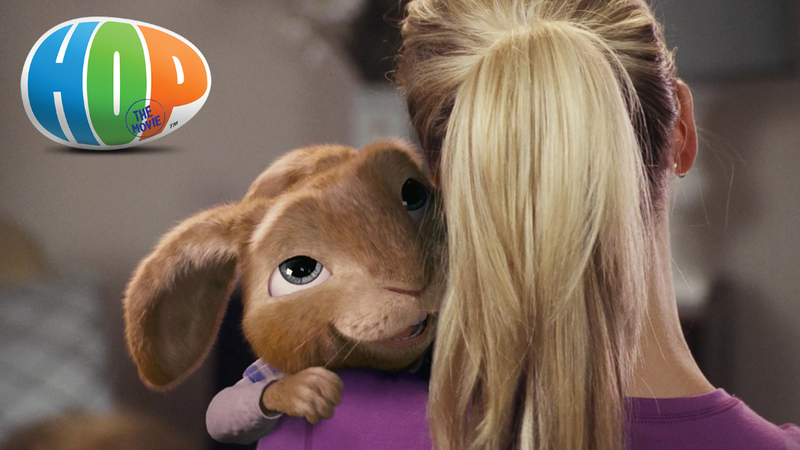 The animated Easter Bunny show is just $2.99 at select Cineplex theatres including at 11 am on Saturday, April 20. Most local community centres are running Easter egg hunts. Check on Vancouver.ca, many of these egg hunts require registration beforehand and a small fee. See all the Easter community centre events listed on one page.